AUSTIN, TX--(Marketwired - July 13, 2016) - With more than 139,000 federal firearm licensees (FFL) accounted for in fiscal year 2015, firearms compliance is a mandatory aspect of every firearm-related business. Epicor Software Corporation, a global provider of industry-specific enterprise software to promote business growth today announced Magnum Shooting Center as one of the first firearm dealers to go live with the integration of the Epicor Eagle N Series® retail business management system and Epicor FFL Compliance Manager™ cloud-based solution. Founded in 2013, Magnum Shooting Center is a multifaceted firearms retail business that features state-of-the-art shooting lanes and a 4,000 square-foot retail shop that carries firearms, ammunition, sound suppressors, night vision equipment, and body armor, among other products. Additionally, the company has a training facility, full-service gunsmithing shop, and more. Because Magnum Shooting Center is currently updating their range to the most modern technology in firearm lane features, lighting and environmental control, they also wanted to implement modern software technology for the most crucial facet of the business-firearms compliance. "We had been looking for new firearms compliance and management software, and we were thrilled to discover that the new Epicor FFL Compliance Manager software would easily integrate with our current Epicor system," said Todd Lockburner, co-owner and general manager of Magnum Shooting Center. "We wanted to connect our point of sale system to our receiving of merchandise, our FFL compliance and back office operations -- streamlining all sides of the business." The Epicor FFL Compliance Manager application was created in collaboration with the firearm industry's trusted compliance and operations experts at Orchid Advisors. While the cloud-based application is an entirely self-contained solution, it is now seamlessly integrated with the Eagle N Series system. The combination of the two solutions gives firearm dealers a comprehensive end-to-end solution that can protect and optimize every part of their businesses. "The integrated solution was a no-brainer for us. As a business that sells nearly 100 firearms on a busy day, the Epicor FFL Compliance Manager application, with built-in internal controls, is an extra safety net for us to help make sure all the federally required compliance information for selling a firearm is completed correctly. It's so easy to use that there is really no training needed, you can jump right in and start using it on day one. If you do need help, there is integrated guided assistance to steer you in the right direction. Epicor continues to deliver the technology tools that help facilitate business expansion," said Lockburner. "The implementation process of the Epicor Eagle N Series system and the Epicor FFL Compliance Manager application is easy. For any firearms business, compliance is your lifeline and inventory control is mandatory -- without it you don't have anything," said Lockburner. "The integration of the two solutions will streamline our firearms compliance and provide improved inventory management. On top of that, it is simple-to-use, and extremely affordable, which will make our business much more efficient." 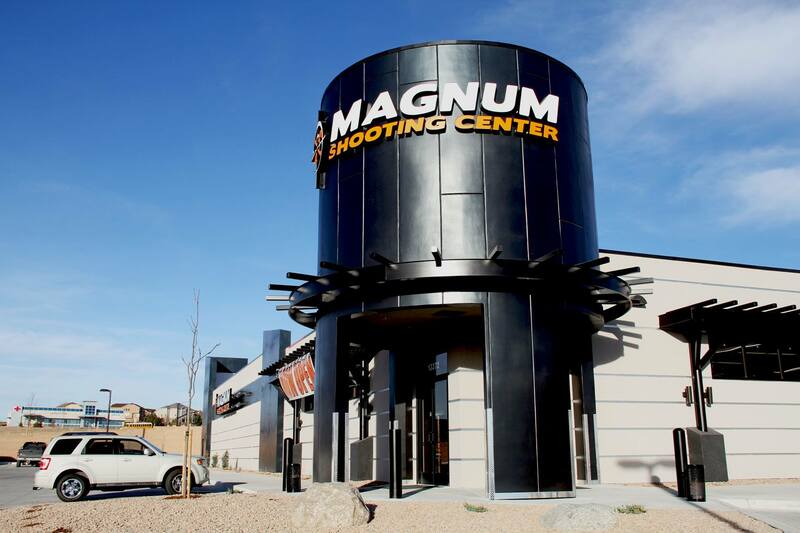 "We are excited to have a high-caliber business such as Magnum Shooting Center go live with the Epicor FFL Compliance Manager and Eagle N Series integration," said Doug Smith, director, product management and marketing, Epicor. "Firearm dealers should now have the tools to reduce redundant data entries and sync business records -- leaving FFLs more time to focus on their customers and business growth." Epicor Software Corporation drives business growth. We provide flexible, industry-specific software designed around the needs of our manufacturing, distribution, retail, and service industry customers. More than 40 years of experience with our customers' unique business processes and operational requirements are built into every solution-in the cloud or on premises. With this deep understanding of your industry, Epicor solutions manage complexity, increase efficiency, and free up resources so you can focus on growth. For more information, connect with Epicor or visit www.epicor.com. Epicor, Eagle N Series, FFL Compliance Manager and the Epicor logo are trademarks of Epicor Software Corporation, registered in the United States and other countries. Other trademarks referenced are the property of their respective owners. The product and service offerings depicted in this document are produced by Epicor Software Corporation. Magnum Shooting Center now operates 33,000 sq. ft. business with integrated Epicor technology.